Digital marketing is the most effective method for generating business online. Rather than interrupting prospects in order to promote your own visibility with unwanted marketing messages, digital marketing attracts prospects to you by providing relevant, helpful content, the kind they search for on Google. 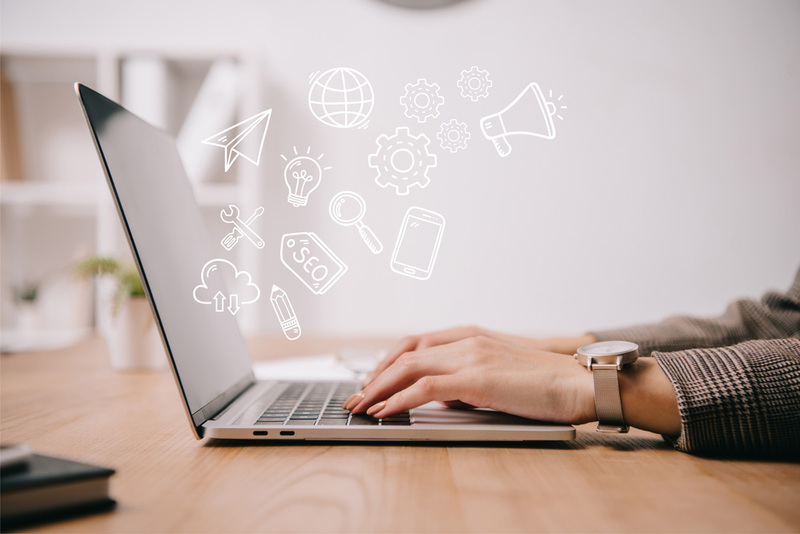 Though digital and inbound marketing have been a hot topic for a few years, there are some common misconceptions about it floating around that we would like to address. No doubt about it, we’re a society obsessed with fads and trends. How else do you explain velour sweatsuits and parachute pants? But inbound and digital marketing at it’s basic level is about building relationships between brands and consumers. It’s about opening up a two-way conversation between business and customer and helping prospects through the buyer’s journey — not interrupting them with hard sales pitches. Digital marketing is about listening and customer service, what could stand the test of time in the business world more than these qualities? Sure, some of the specific tactics will evolve over time. There will be new social media channels rising in popularity. New devices and faster internet will have an effect on how content is delivered, but the premise of inbound marketing is here to stay. If you have customers, they are searching online for solutions to their problems — no doubt about it. It’s likely that you have something to offer these customers by way of solutions. But what exactly should you write about? Do your customers have common questions? Talk to your sales team and jot down a list of all questions and objections they address on a daily basis. Turn each of those into blog posts. Not only do you address your customers’ needs, but other potential customers may be guided to your site if you provide the answers to their questions. Are there new trends or new products in your industry? Become a resource by regularly letting your readers know what’s coming. You’ll be seen as credible and relevant, which leads to more popularity. Do customers evaluate your products or services against others? Write a detailed comparison that outlines the pros and cons of each side. Readers appreciate transparency, which makes a company seem more human. Are there “hot button” issues in your industry? Don’t be afraid to take a strong position on an issue within your industry, everyone loves opinions. Even if your industry isn’t the most exciting one, there is always something to blog about. Sometimes companies have a misconception that they can just tap someone in their organization, such as an administrative assistant, to “do social media” during their downtime and call that digital marketing. While it’s certainly true that you can involve people on your team, to be successful you need to have a clear understanding of how digital and inbound marketing works (and we can tell you that it’s not just social media). You should know how to attract the right visitors and convert them into leads. You need to be able to nurture those leads to become customers. You must have the right tools in place to tie everything together, and you should be able to measure and track your results. Invest in hiring a talented marketing director to be the internal point person and enlist the help of an inbound marketing agency for strategy and implementation. Then you can utilize key people in your company to contribute as needed. Digital and inbound marketing is a long-term strategy that builds upon itself over time; its results cannot be achieved overnight. Your blog readership, social media following, website traffic and email list will grow as you consistently create and promote new content. That’s not to say you won’t see any results in the short-term. You can use social media ads and Google Ads to help accelerate your results, especially in the beginning. Keep in mind, you’re building solid marketing assets online that will continue to bring in new traffic, leads and customers for months and years to come. That kind of system can’t be built in a day. Social media plays a key role in inbound marketing. It’s hard to find anyone today that isn’t on social media, so there’s a very good chance that your prospective customers are there as well. If your company isn’t actively using social media as part of your inbound marketing strategy then you’re missing out on a large percentage of your target market. It’s no secret we’re big fans of digital and inbound marketing, but for many industries it makes sense to incorporate some outbound marketing as well. Trade shows, magazines, direct mail, television and radio are still relevant for many businesses. The effectiveness of most outbound methods has diminished over the last several years, but if it makes sense for your target audience then go for it. According to HubSpot, outbound marketing costs 39% more per lead than inbound marketing, so we suggest allocating more of your budget to inbound and being selective in choosing outbound methods. “If you build it, they will come” right? Maybe it worked for Kevin Costner, but unfortunately it doesn’t work the same way with websites. Websites are critical to your marketing success, but you need a strong digital marketing strategy to make your website work for you. Think of launching a website as building the engine. After you’ve constructed it, the engine needs gas (digital marketing) to make it run. And if you can have the website built with a clear inbound marketing strategy already in place, then your website can be much more optimized for success. It’s your turn! What myths have you heard about digital marketing?